Highly durable, fast drying, red coloured mesh adhesive. 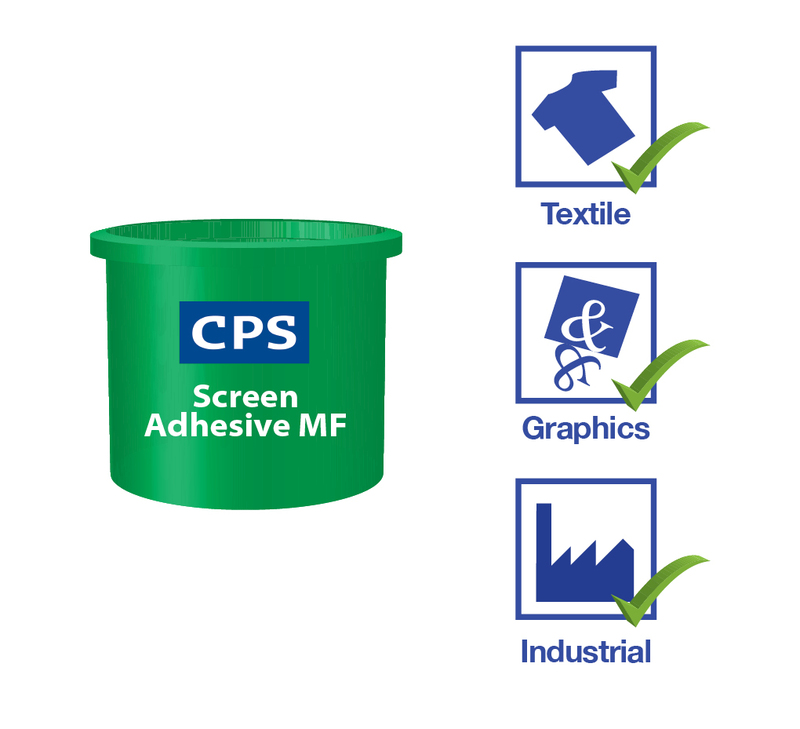 CPS Screen Adhesive is a 2 component screen adhesive suitable for all mesh types. The product combines excellent solvent resistance, high shear strength and fast cut out time. A fast 2 pack screen adhesive for adhering mesh to all kinds of screen printing frames. It is Methylene Chloride free. Stretch the fabric over the frame with your tensioning device and make sure that you have the fabric in contact with the frame surface. Brush the CPS Screen Adhesive MF onto the mesh and make sure there is good contact with the frame surface. Ensure the mesh is fully encapsulated by the adhesive. All the CPS Screen Adhesive MF to dry for at least 10-20 minutes. Release the tension and trim off excess fabric. The frames will be fully solvent resistant after about 24 hours. Screen Printers and distributors who have mesh stretching facilities and mesh stretching businesses. Available in pack sizes of 1.1 Litre and 5.5 Litre. All distributors and sub-dealers with mesh stretching facilities. When priming, it is very important to apply a very thin layer of CPS Screen Adhesive MF with a stiff CPS Adhesive Brush. You must be able to see the frame material through the layer of adhesive. Leave to dry for 1 hour before stretching. When working with this product, it is recommended to have good ventilation. For example, directly connected to your stretching machine.